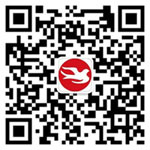 Company profile - ZheJiang JinYan Printing Co.,Ltd. 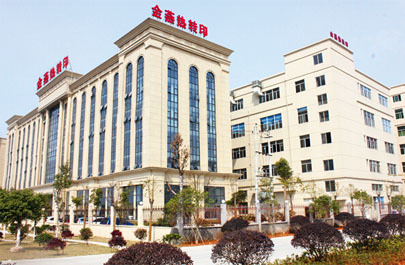 Zhejiang Jinyan Printing Co.,Ltd( Jinyan HTF/IML) is established in 1990, Located in the China Printing Town -- Longgang Town, Wenzhou City. As a leading enterprise of China Heat Transfer Printing and In-mold label making, Jinyan HTF/IML now is equipped with 10 color Electronic Line Shaft High Speed Rotogravure Printing Presses, Computerized fully Automatic Slitting Machine, Computerized Coating Machine, Infrared Scanning Detector and many other high technique equipment, Jinyan HTF/IML also has high professional skilled designer and sales team and experienced manufacturing group. Jinyan HTF/IML is able to do design, manufacture, sales and development all by itself. Recently, heat transfer and In-mold Label are the main trend for the surface decoration of most plastic products. Jinyan HTF/IML regards surface decoration as a important way the convey the value and quality information of product to customer. Making the superior quality of Heat Transfer Film and In-mold Label for customers to convey information and leading the packing industry is the pursue of Jinyan HTF/IML. Jinyan HTF/IML also keep a long-term business relationship with the famous brands companies all over the world. From purchasing of raw material, per-printing preparation, printing process, after-printing process, packing and logistics, Jinyan HTF/IML make high quality standard for each to make better products for customer. “Always pursue better” is the Mission Jinyan HTF/IML makes for every staff. Jinyan Printing Co.,Ltd supply all kinds Heat Transfer Film and In-Mold Label. These two printing products can be used to many plastic products made of (ABS, AS, PS, PC, PP, PE, PVC and etc.). In addition, Heat Transfer printting is also feasible to coated wood, bamboo, metal and glass. Heat Transfer Film and In-Mold Label are now widely used to electric appliance, stationary, cosmetics, toys, housewares, decorate building materials, food package. With professional and high skilled team, we can do development and customization according to different inquires from each customers. Heat Transfer Film and In- Mold Label with the superior features including high image definition, high accuracy, strong three-dimensional printing, colorful image and strong adhesion. The process to apply Heat Transfer Fiml and In-Mold Label is easy, fast and environment friendly. It also help to improve the value and competitive advantage with the surface decoration. Apart from make high quality products we have now, Jinyan HTF/IML also make another emphasis on the printing technique development. Jinyan HTF/IML has started to use No benzene ketone ink since 2013. The printing products from Jinyan HTF/IML can meet various standards to enter domestic market and also export to European Country. Without talent staff, the technique development may not be achieved. Jinyan HTF/IML gathers the talent staff in designing, selling and also manufacturing in the industry. Inviting the external exports and training inner staff, Jinyan HTF/IML aims to create a good environment for technique development. We celebrate the creation we made for each customer, and we treasure more the long term relationship with customer to develop and grow together. 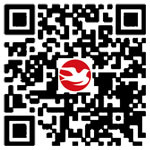 Jinyan HTF/IML invites you to witness what we can do better for you.